It was mixed martial arts at its fastest but not necassarilly its finest as Dominick Cruz and Urijah Faber engaged in an exciting bantamweight title fight Saturday in the main event of UFC 132 at the MGM Grand Garden Arena. There is no question these two fighters are among the highest level atheletes not only in MMA but perhaps the world, however technically neither fighter was all that impressive. Cruz’s blinding speed covers a great many flaws in his footwork and kickboxing and his takedown defense would be better attributed to sweat than any technical reason. We saw little of Cruz’s ground game (which apparantly according to Master Lloyd is blue belt level?) other than his ability to win scrambles. Again a factor that can be attributed to his amazing athletism. Faber on the other hand did look a bit more technical in his striking, having made obvious improvements since the Jose Aldo fight. However he seemed bewilder by the fact that he couldn’t match Cruz’s athletism. That didn’t stop him from trying however which ultimately distracted Faber from employing his superior grappling skills! Urijah’s wrestling and jiu jitsu are among the best at bantamweight and yet we saw very little of it as he found himself sucked into a Tank Abbott-esque mindset of throwing head seeking bombs. Ultimately as this fight became a contest of “who is the better conditioned athelete” Cruz took a unanimous decision victory in the grudge match between the heated rivals. Judges had it 50-45, 49-46 and 48-47 for Cruz. 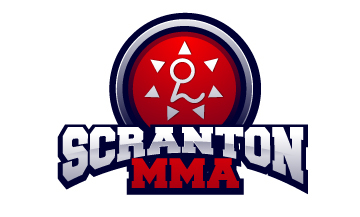 I have no clue what fight judge #1 was watching but the concensus of the assembled Scranton MMA viewers was 48-47 for Cruz. Faber knocked Cruz down a couple of times, but Cruz got up quickly each time. Cruz chopped at Faber’s legs with kicks and kept a jabs popping in Faber’s face. in the end while Faber landed harder shot Cruz landed far more.